Applicants may apply for the MAR, the SIR, or both using the same application form. Providing one or two artists with a studio free for a year, along with space, time, and support to pursue a focused direction, and develop a serious body of work. Providing one artist with an immersive year of practice and study at Manifest Drawing Center, a semi-private work space for a year, mentorship and teaching exposure, along with support in establishing a career direction in the visual arts. 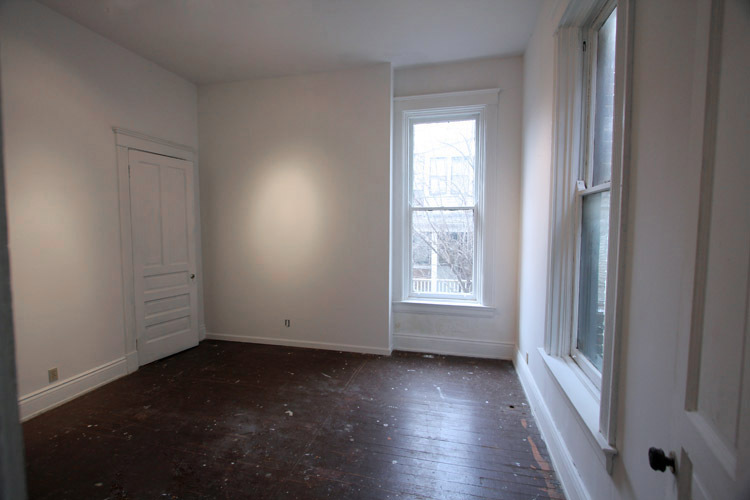 Free 24/7 use of a private studio consisting of (for one artist) approximately five hundred square feet of studio and display space (two north-lit rooms and a hallway) for a period of one year (including nominal utilities). In the event that two separate applicants are each awarded the residency,* each will receive one room, with some shared common space including hallway, storage, and restroom. 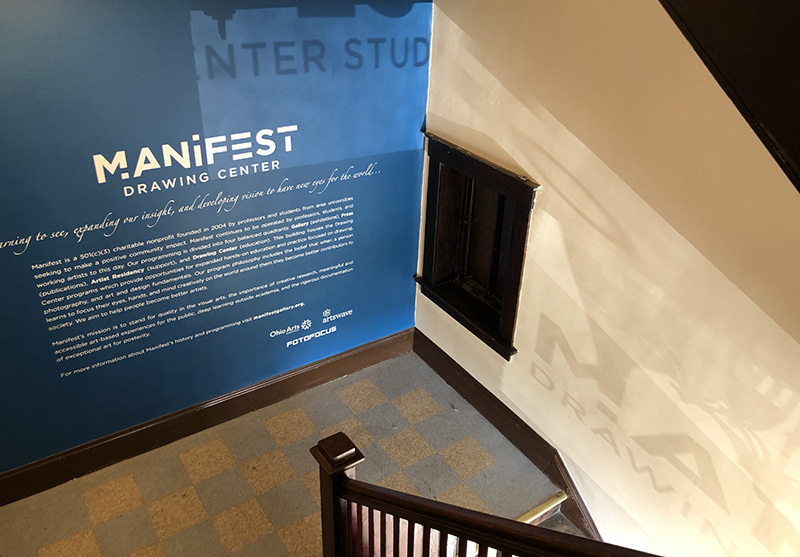 Free Drawing League Membership at Manifest Drawing Center which provides access to approximately 400 hours of life drawing sessions through weekly Open Figure and semi-regular Drawing Marathon offerings. The artist will be given consideration for teaching courses in our studio program, for pay, during the course of the residency. This will be contingent upon suitability and qualifications, as well as course enrollment, and will be determined by the Coordinator of the Drawing Center program. Regular public exposure of artwork in-progress and working studio during Manifest exhibit receptions to well over 2000 members of the public. The opportunity to submit to any and all of Manifest’s calls for entry for which the artist is eligible, with the entry fees waived for all submissions. Works submitted by the Resident Artist will still be juried through the blind jury process used for all Manifest projects. The participation in a MAR Showcase exhibit in the gallery near the conclusion of the Residency. This is contingent upon approval by the Director and the availability of suitable work. The purpose of the exhibition is to be Manifest's presentation of works made by the artist in the Residency space and Manifest programs. If a show is presented, the Resident Artist's exhibited work will be featured in a chapter of that season's Manifest Exhibition Annual publication. The presentation of an artist talk to the public at or near the conclusion of the Residency. * In 2012/13 one artist was awarded the Residency. Since then every year two separate applicants received the award. Applicants have the option to indicate on the application form whether or not they wish to be considered for an exclusive Residency award, or are open to the dual award. It is our belief, based on experience, that having two residents activates the experience and the overall value of the program far more than does having just one resident artist. So it is our recommendation that applicants remain open to having a neighbor colleague. In cases where there are two Residents, each will be provided their own private separate studio, but will share hallway access, basic storage access, and restroom. 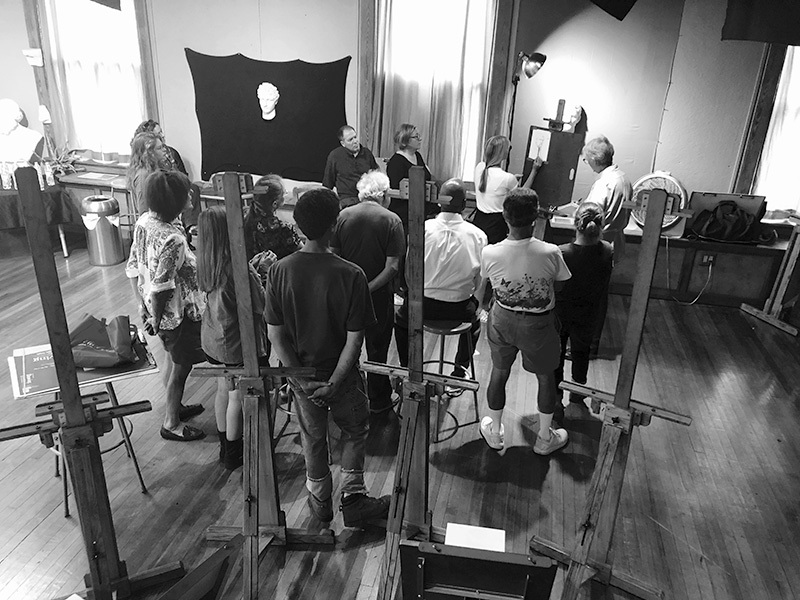 Free access to ALL programming at Manifest Drawing Center, which includes approximately 400 hours of life drawing sessions through weekly Open Figure, occasional QuickDraw sessions, and intermittent Drawing Marathon offerings, approximately 600 hours of access to the Manifest Community Darkroom facility, and EVERY class which has reached minimum enrollment. Free use of the Drawing Center’s 3500 square feet of drawing, painting, and photography studio spaces between 8am and 10pm, 7 days a week, including outside of regular programming hours for a period of one year (including nominal utilities). The scholar will be given consideration for teaching assistantships for appropriate Drawing Center course offerings, with instructor approval. (Teaching assistantships are unpaid.) Subsequently, the SIR will be given consideration for teaching courses in our studio program, for pay, during the course of the residency and beyond. This will be contingent upon suitability and qualifications, as well as course enrollment, and will be determined by the Drawing Center Coordinator. Regular meetings with studio and pedagogical mentors. Mentors will be determined within the first month of the residency, and meeting schedules will be developed in collaboration between all parties. The opportunity for public exposure of in-progress and finished artwork during regular Manifest Drawing Center programming, engaging well over 4000 members of the public annually. The opportunity to submit to any and all of Manifest’s calls for entry for which the artist is eligible, with the entry fees waived for all submissions. Works submitted by the Resident Scholar will still be juried through the blind jury process used for all Manifest projects. * In 2018/2019 Manifest expanded its residency program to include a pilot of the Scholar in Residence award. This has proven quite successful and impactful for the first SIR, Angela Livezey, who relocated from Iowa to be a part of the Manifest community in 2018. 2019/2020 is the first year for the SIR to be a part of the formal application process. We welcome inquiries about this and the MAR any time by email here. Both programs are open for application by any serious emerging or established artist, including recent graduates from college art programs. The MAR program was developed to allow artists to focus on their personal, self-directed studio production with the goal of exhibition, while the SIR program was developed to offer earlier-career artists low-pressure opportunities to further research areas of creative interests, including both studio production and possibly teaching, and to provide a vibrant supporting peer culture. Both will benefit Manifest's community by providing the public exposure to the often unseen working space and practices of artists, serving to eliminate some boundaries to contemporary artmaking which currently may divide the everyday public from the fine visual arts. International (non-U.S. resident) artists will be responsible for securing their own travel authorization, Visa documents, etc. Manifest cannot secure such authorization, but can provide basic documentation explaining the nature of the residency to any authorities who require it. The ideal candidates for the award of either program may be working in any media or genre suitable for the space provided, but would also make reasonable use of the available Drawing Center life-drawing sessions and/or darkroom facility even if this is ancillary activity to their primary work. Suitability for teaching will be considered, but will not be a primary factor in the selection process, and a teaching appointment is not guaranteed. •	All areas of the DC are communal and multi-use. •	Large and long-term projects will need to be managed in collaboration with the DC Coordinator, instructional staff, and moderators. However, a small portion of the DC, storage shelves, and rear storage closet shall be reserved for the artist’s continual, individual use. 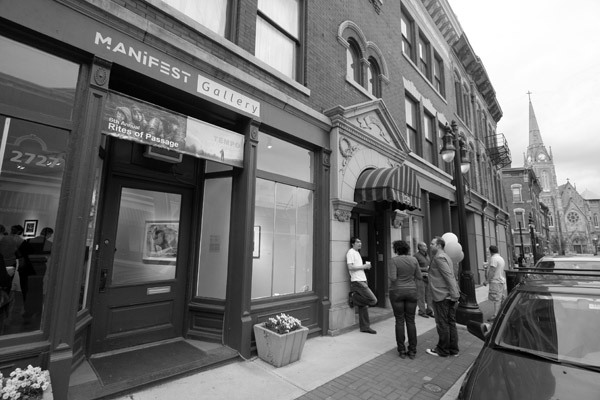 The Artist Residency studios are adjacent to Manifest Gallery, sharing a common hallway in the same building. 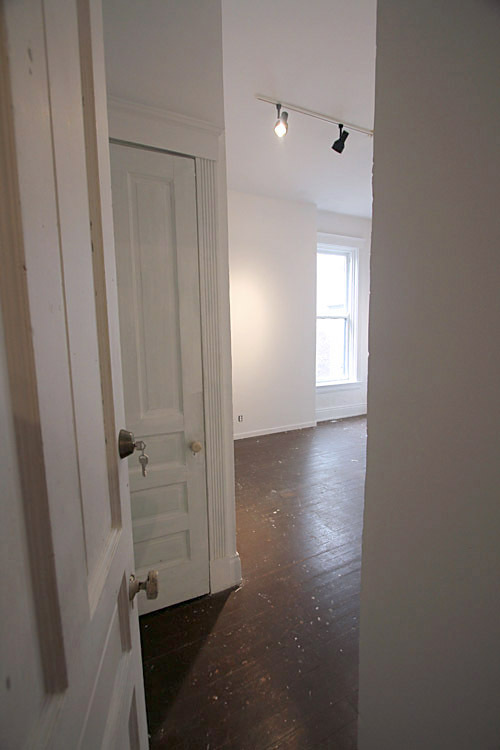 The studio consists of two north-lit rooms on the first floor and a semi-private hallway usable for display. 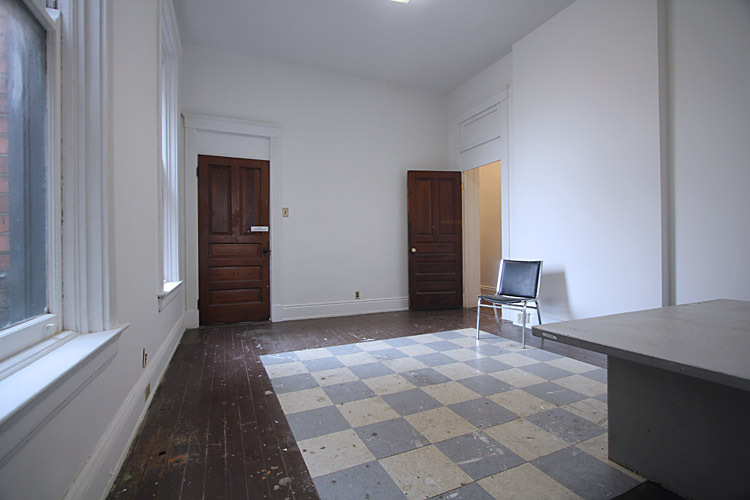 The entire residency space totals approximately 500 square feet. Quality and consistency of sample work. 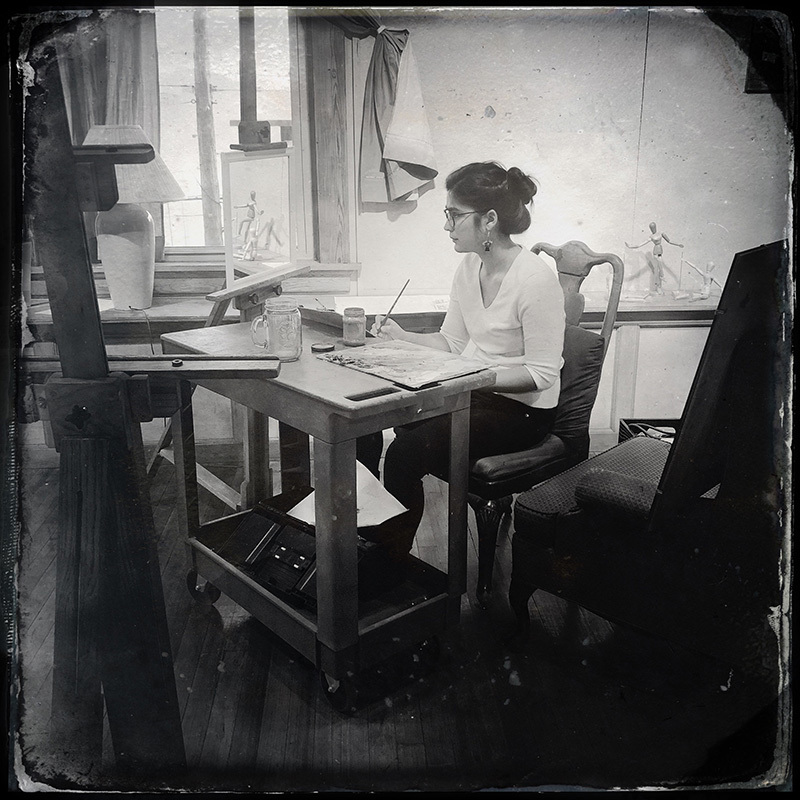 Motivation and potential for the creation of excellent new work during residency. The degree to which the individual will further develop and benefit from the program and reciprocate with involvement and new positive energy for the culture around Manifest and our communities. The ability of the artist to take full advantage of the opportunity and utilize the program resources to maximize its benefits. Provide an ideal space for the creation of new work. Above all else productivity and time spent working in the provided studio are critical. Greatly increase the likelihood of future success for the resident artist or scholar. Create a supportive environment for development as a teaching artist. 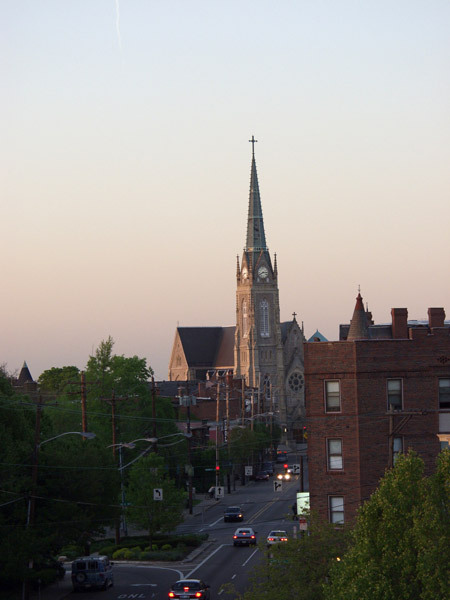 Place the artist in a vital and growing arts community in Cincinnati, with locations ideal for meeting with and learning from other artists and arts organizations in the city. Expand how Manifest's programming impacts individual artists, our community, and artmaking in society. Establish a broad view into contemporary art by providing the public with insights into both art production (exhibits) and processes (studio) under one organizational umbrella, as well as supporting Manifest's own exhibition processes. The Artist in Residence/Scholar in Residence must remain in good standing, fully using the spaces and resources provided, and participating in the public and programming components of the Award in order to remain in the program for the full duration. Presently the MAR and SIR are strictly a one-year program, without the option for shorter durations. Accepting the award constitutes a commitment to the full year. Manifest believes that a full-year immersion in the process, culture, and energy of the MAR/SIR is required in order for the programs to make their intended positive impact on the artistic career path of each resident artist. For the MAR, the public component includes opening the studio and hosting public guests during Manifest's nine exhibit receptions and nine preview events across the year, and for the SIR, the public component includes regularly displaying in-process and finished work in public spaces of the DC. For all residents, public components may also include possible instruction of courses (for pay), as well as possible (and optional) moderation of Open Life Drawing Sessions or darkroom lab times, artist talks, and documentary activities. 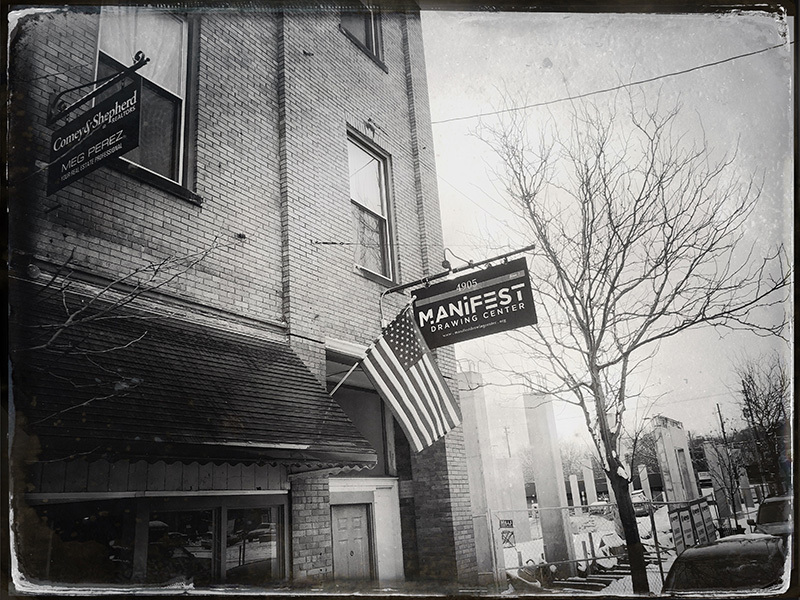 Manifest reserves the right to document the studio and works made during the residency, and to use images in program and organizational promotional material, including websites and publications, at any time. The Residency spaces are provided as-is, unfurnished and unequipped. 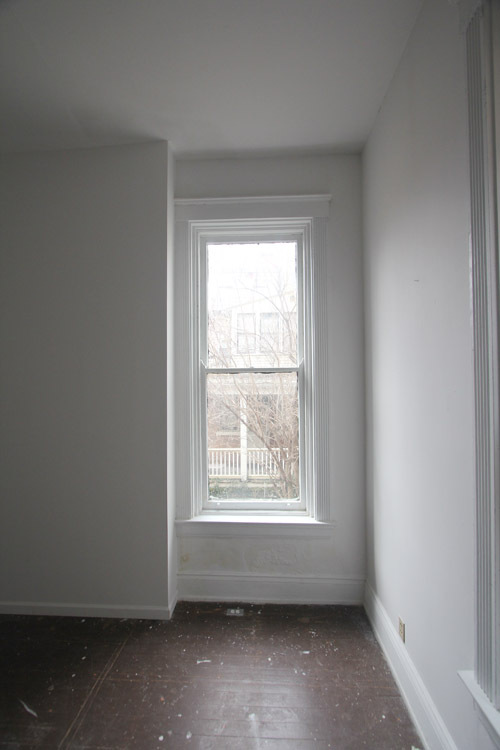 The artist may need to provide their own furniture or equipment needed to utilize the space. At the conclusion of the residency, the artist must return the space to the same condition in which it was awarded to them (or better). The MAR and SIR programs currently involve no cash award or payment to the artist, other than for the potential pay for courses taught which would be on a separate contractual basis. The value of the awards is estimated at approximately $10,000 per artist. Manifest will not conduct the sale of the artist's work unless it is included in a Manifest exhibit, or by separate agreement. The artist may sell their own work (and only their work), on their own terms, to interested patrons, but must not utilize the MAR or SIR spaces as a selling venue, booth, or other quasi-commercial facility. Any uncertainty about this should be discussed with Manifest's Director. To ensure the artists take full advantage of the program, and maximize the benefits it offers, as well as provide reciprocal involvement, the Manifest Residency spaces should be the sole primary creative studios of the artists during the residency period. Periodic reviews will be conducted to ensure the integrity of the program. This may include routine monthly studio visits and discussions with Manifest's Executive Director, board members, or staff. * Submission of application indicates agreement to the terms spelled out in this prospectus. A more detailed formal agreement, further clarifying the terms, will be provided upon establishment of the award recipient. Well over 300 artists exhibit, and 4000 or more patrons visit Manifest Gallery each year. The Drawing Center hosts a roughly equal number of participants per year and thrives with a robust ongoing community of dedicated artists of all ages. Thousands of artists submit works to Manifest's thematic exhibits and our three major publications produced at the gallery. Our exhibits are routinely reviewed in local, and sometimes national news and art publications (including Sculpture Magazine, Drawing Magazine, and Art Papers among others). Our exhibition, publication, and residency programs have created a worldwide network of Manifest 'alum' who stay in touch, collaborate, and support each other over time. 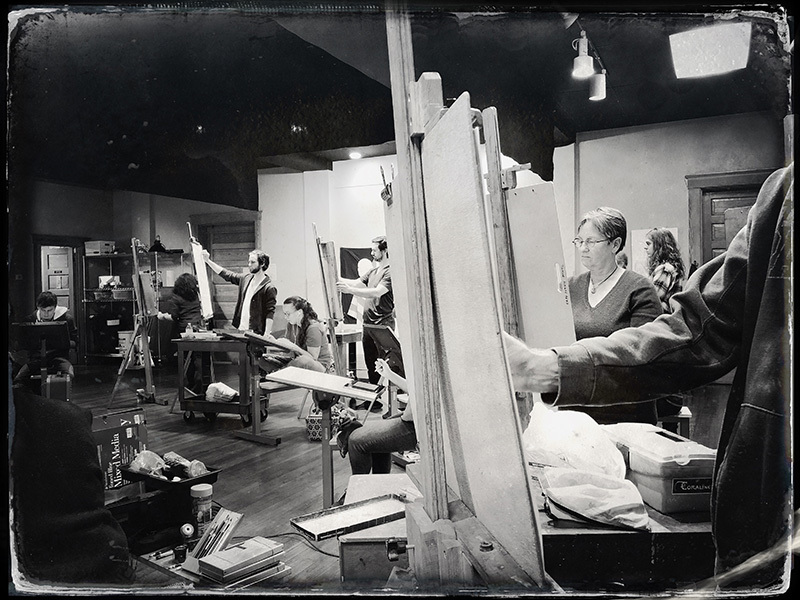 Our Drawing Center attracts and supports a healthy community of active creative participants, including regional professors, students, professional artists, and aspiring novices. We believe all of this makes involvement at Manifest, and in the MAR/SIR programs, extremely valuable. Manifest will accept applications for the MAR and SIR awards on an ongoing basis, reviewing them starting in early April for the upcoming one-year term. Notifications will be made in early May, with the start date for the MAR being July 1st of each year, and for the SIR August 1st of each year. The Manifest organization is a 501(c)(3) charitable non-profit and as such operates on a very lean budget with the support of hard won grants, as well as heartfelt individual donations, and in-kind professional and volunteer services. As such, all submissions and applications to projects include modest entry/submission fees. These are either at or below the national norm for such fees, and we work very hard to maximize all our resources to make the benefits of submission to and participation in our programs more valuable than most gallery experiences. With a mission to stand for quality in the visual arts, we set our own bar high, and generally exceed the expectations of participating artists and our patrons. Learn about the past MAR and SIR artists here. Eligibility: Any adult visual artist can submit an application. Artists should bear in mind the criteria listed above when submitting. Media/Genre: Open to artists working in any traditional and non-traditional genre and media suitable for our studio spaces. Manifest sets out to survey, exhibit, and document excellent quality amongst all types of visual art. Our record of showing a broad mix speaks for itself. This philosophy carries over into the MAR and SIR programs. Submission Fee: Each application must be accompanied by a $50 non-refundable submission fee. Fee must be paid by U.S. check or U.S. or International money order made payable to MANIFEST, or by credit card via PayPal. (If paying by PayPal PLEASE use the paypal link provided on the page that follows the submission of the online application form.) There is no need to submit separate applications to both the MAR and SIR if you are interested in participating in either. Simply indicate 'both' in the appropriate spot on the appliation form. For applications we request 12 images of sample work be sent for consideration. These works should indicate as nearly as possible the intended diretion/scope of your residency focus. If your direction is uncertain, then please explain this in your narrative answers on the application form. Images and Info: Manifest accepts only digital images and documents for consideration. See specifications below. The gallery will retain the submitted images of the successful applicants and reserves the right to use the images in publications and organization/program publicity. Mailed proposal materials will not be returned. Please do not send links to Google Drive documents. Web links should only be used for files too large for email (such as video files). Jpegs should be sent as email attachments only. Digital Format: Digital images and PDF resume should be emailed. Video works should be submitted by way of a link to online viewable content included in the notes section of that work's information on the application form. The email and online submission process makes our process more efficient and saves postage and materials for the artists. File names (for images AND other documents) = artist's last name (underscore) first name, followed by the image number as noted on the application form (i.e.Jones_Mike_1.jpg). Detail, installation, or alternate view images must include the word 'detail' in the filename (i.e. Jones_Mike_1detail_1.jpg). Detail info should NOT be included on the application form. The image files should be in HIGH QUALITY JPEG format, images should be no smaller than 1000 pixels in width and 72dpi. Manifest requests that all video or interactive submissions, or video details illustrating an entry, be in the form of a link to a viewable online copy of each work. The work should be shown online in its full length. Video links should be provided on the application form for each work in the NOTES or LINKS section, and should link directly to online or downloadable content that does NOT require a login, password or membership to view. These may be in the form of Youtube, Vimeo, Dropbox, or other similar links. Effort should be made to eliminate confusion or extraneous information that may interfere with the jury's viewing of the work. Any extraneous information, or material not considered to be 'the work' will inevitably detract from the jury score for that work. APPLICATION FORM [link]––– application process now open!